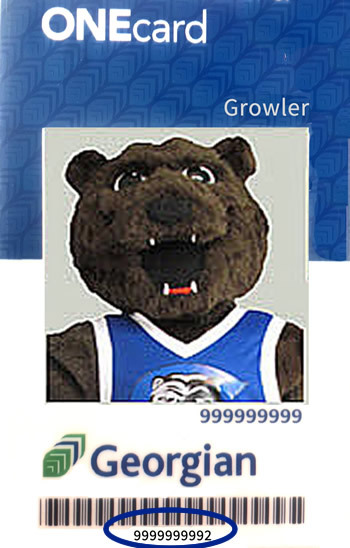 Print credits can be purchased at the Library's Customer Service Desk. 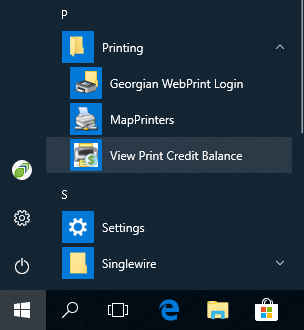 Select "View Print Credit Balance"
It costs 10 cents to print one side per page; 2nd side costs 9 cents. Printers are set to double-sided printing on most campus libraries except Owen Sound. Print credits are non-refundable. What paper sizes are available? Barrie, Orillia and Midland has letter, legal and 11x17 paper sizes. Owen Sound prints letter and legal sizes, single sided only. Web-based printing [print directly from your laptop to library printers] is available at all library locations. 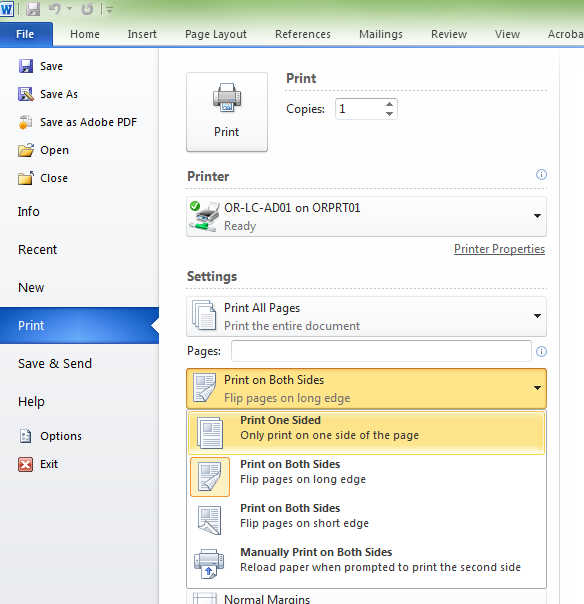 Use the dropdown menu to select "Print One Sided"
College printers default to double sided. You will need to change the printer settings manually each time you print. How do I print PDFs? Slides are saved in PDF format? You can still print them with multiple slides on one page. In the PDF document, select Print. Under Page sizing & handling, select multiple and specify how many pages to print on one sheet. How do I print PowerPoints with multiple slides? Printing PowerPoint handouts with multiple slides per page can help save print credits AND give you a nice area to take notes! Look for the Settings area. Select the area that says "Full Page Slides"
Change to the number of slides you'd like to print per page! Dropbox is a great way to save your work in the cloud so that it's always with you wherever you go. 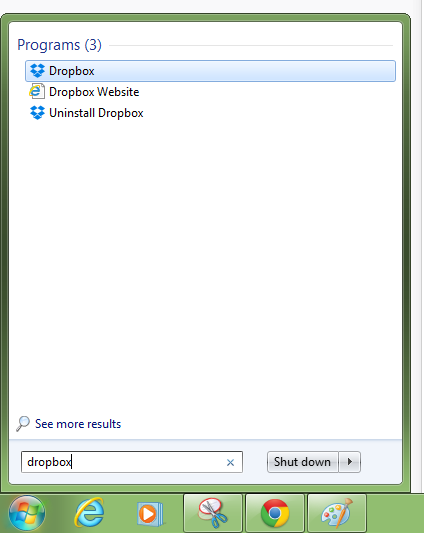 Login using your dropbox username and password (or create a dropbox account if you don't have one). Once you've signed in successfully, click "Open my Dropbox folder"
You can now access your dropbox folder on the left hand side of Windows Explorer.